This post is sponsored by The Little Potato Company. 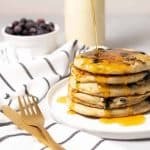 As a long-time supporter, I continue to partner with them to bring you delicious, healthy recipes featuring creamer potatoes! My husband is a Midwest meat and potatoes man. And, now that he’s dropped the meat, he’s firmly a potato man. I didn’t know you could eat potatoes so many times a week until we started dating and BL requested baked potatoes, mashed potatoes, roasted potatoes and smashed potato cakes all in one week. BL eats potatoes like I eat pasta. 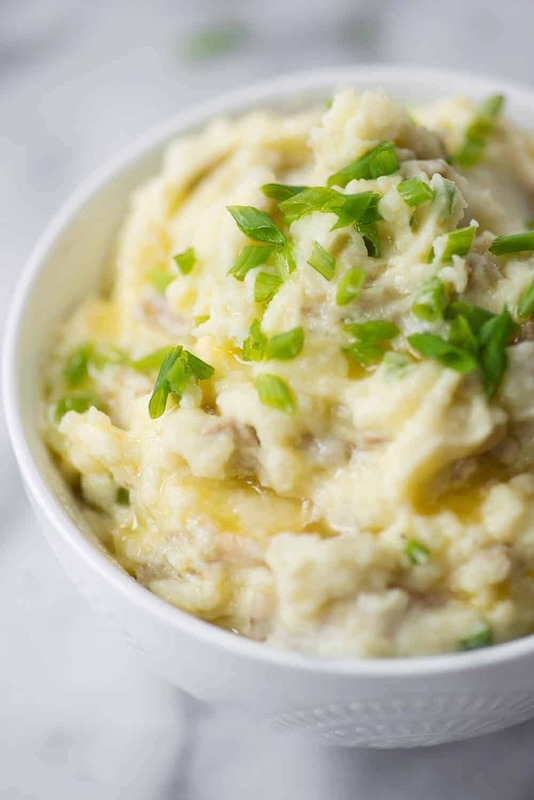 While I do most of the heavy lifting when it comes to cooking and meal planning, there is one dish that I always request he take on: mashed potatoes. BL makes the best mashed potatoes. Which is no surprise considering his love for the vegetable. They are so creamy and buttery, it’s one of our favorite side dishes. 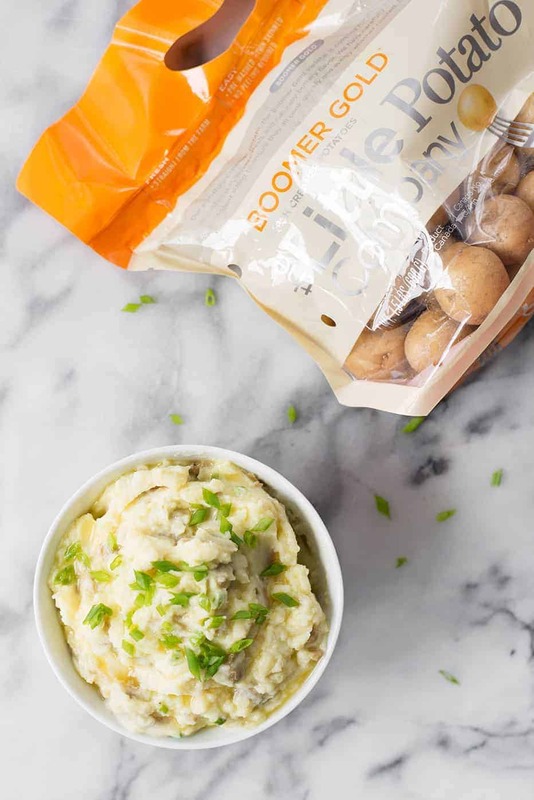 These mashed potatoes are ready in just 15 minutes, thanks to the Instant Pot. While these little potatoes cook up fast on the stove, using the Instant Pot shaves a few minutes off the cooking time, a good thing when you are trying to get dinner on the table fast. 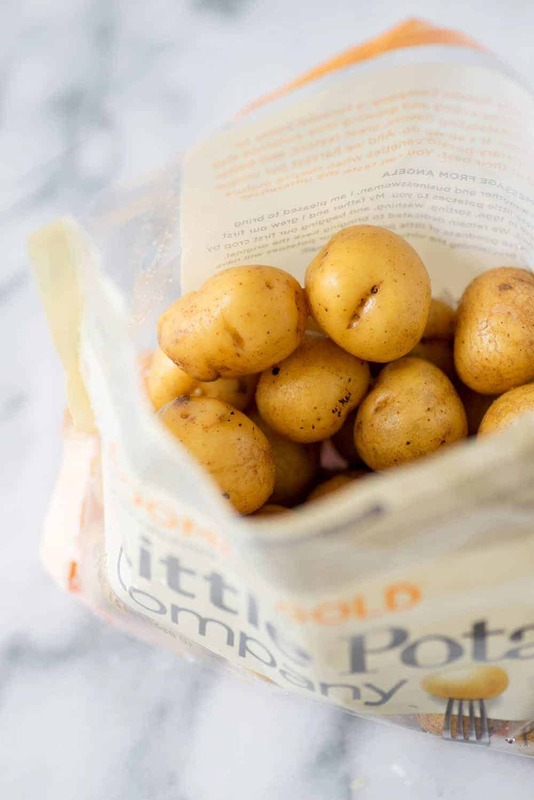 I love using The Little Potato Company potatoes for mashed potatoes because there is no washing, peeling or ricing required. Just boil until tender, add the rest of the ingredients, then lightly mash. They are perfectly little and creamy, a few presses with a potato masher is all you need to bring them together. You can find Little Potatoes in the produce section of most grocery stores. I used one of my favorite of the Little Potatoes, the Baby Boomer variety. All of their Creamer potatoes have a delicate thin skin with a smooth and silky center; add a little butter and milk and you’ve got creamy mashed potatoes that melt in your mouth. 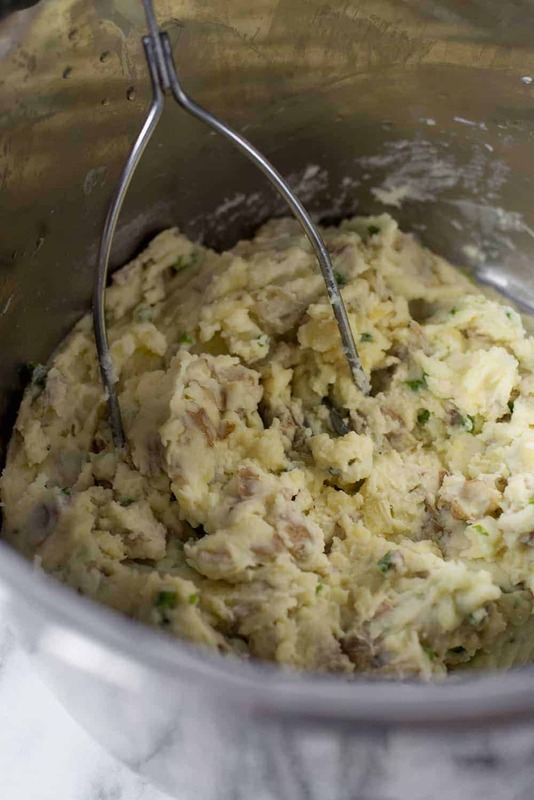 The key in making dairy-free mashed potatoes is cooking the potatoes until just tender, then lightly mashing before adding in the other ingredients. 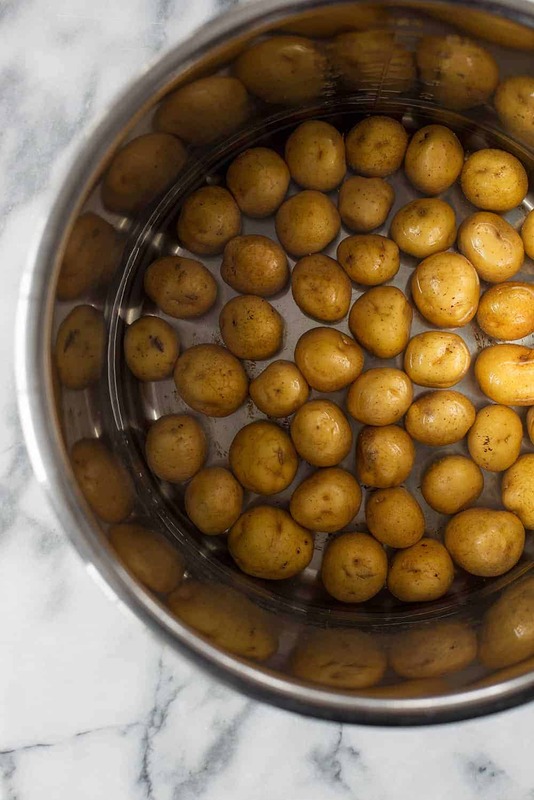 Overmixing potatoes often creates gluey potatoes, which aren’t appetizing to anyone. I use a hand masher to ensure that I’m only doing the bare minimum; but a hand-mixer will also work. Here’s where you have some flexibility, depending on how you like your mashed potatoes. Once you’ve likely mashed the potatoes, add in the ingredients. For these, you’ll need butter (I prefer Earth Balance whipped butter), a little salt and maybe a little liquid. I say maybe because I think this is where it really comes down to how you like your potatoes. I prefer mine almost wet; I don’t want to have to put anything else on my potatoes to eat them, so I stir in lots of butter and a few splashes of whatever milk I’ve got in the fridge. My husband prefers them a little dried, so he only uses butter, salt and pepper. When I say 15 minutes, that is start to finish. 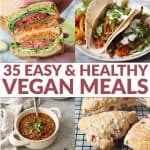 Just enough time to fire up a few veggie burgers from the freezer for a quick and healthy dinner. I should know, we eat this combination at least once a week. 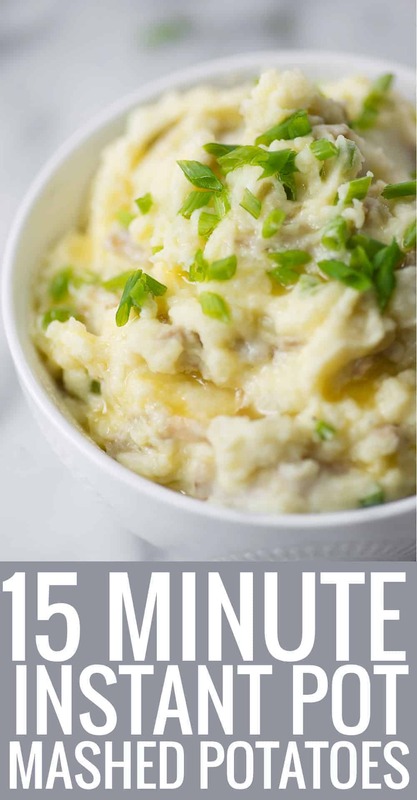 15 Minute Instant Pot Mashed Potatoes! 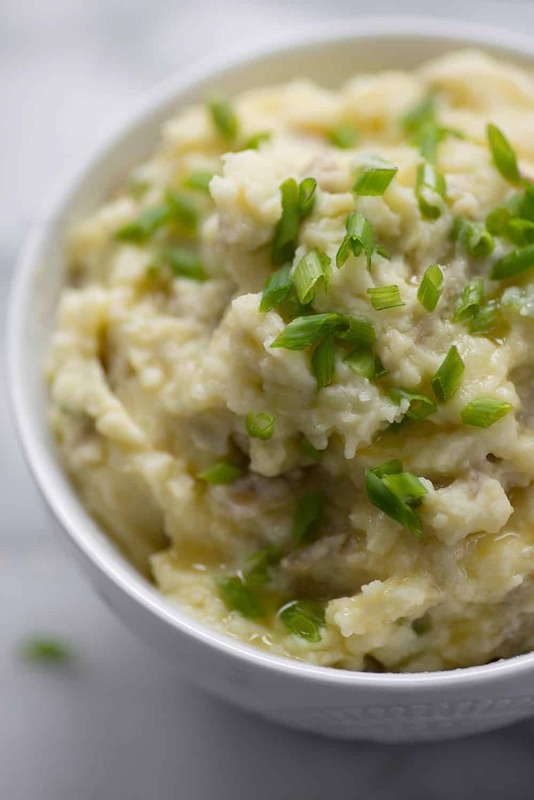 If you like mashed potatoes, you’ve gotta try this simple, healthy side dish that’s ready in MINUTES. Made with skin on small potatoes; gluten-free, vegetarian and easily vegan. Add the potatoes and 1/2 teaspoon salt to the Instant Pot and pour enough water in to just cover. Put on the lid and cook on high pressure for 9 minutes, then quick release and make sure the potatoes are soft. They are done when a sharp knife can easily be inserted into the potato. Drain the potatoes and reserve 1/2 cup of the water. Add the potatoes back to the Instant Pot and lightly mash with a potato masher until just softened. Add the butter, salt and pepper. I start with 1/2 teaspoon salt, then add from there. Depending on what type of butter you use, you may need 1/2 to more than 1 teaspoon salt. Add in a few tablespoons of milk, just to cream them together. Taste them! If you want them a little more wet/creamy, add in a few splashes of either the reserved cooking water or milk of choice. Stir just to combine, then repeat as needed depending on the texture you prefer.